There probably isn’t anyone who hasn’t at least heard of Champagne, the motherland of all sparkling wine, home to glamour, prestige and such iconic names as Dom Perignon. But Cremant, an often excellent quality (and value) sparkling wine that can be found across many of France’s most prestigious regions? You would hear a pin drop in the room for the deafening silence. 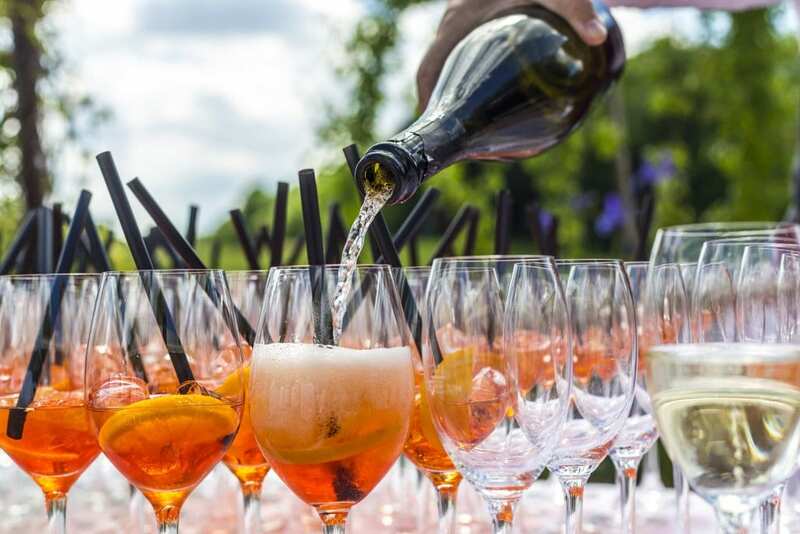 Of course, part of the problem is that while the term Champagne is synonymous with one part of France, Cremant is an appellation for quality, traditional method sparkling from several regions, including Bordeaux, Burgundy, and Limoux in the Languedoc. Its lack of strong regional association has arguably prevented it from gaining a strong foothold in our conscience, but this is our loss! Cremant represents some of the best value sparkling wine produced in the world today, often at Prosecco equivalent prices! Although the designation for Cremant has only been legally certified since 1975, historically sparkling wine has been produced in several of France’s wine regions for centuries. In fact, Blanquette de Limoux in the Languedoc can lay claim to being the first sparkling wine of modern times: its history begins many years before Champagne when that region was still focusing on still wines. It was reportedly invented by monks at the Abbey of St-Hilaire in 1531. They produced the wine by adding partially fermented wine to a bottle and completing the first fermentation without the addition of the liqueur de tirage – so the first half of the Champagne method basically. Today, however, Blanquette de Limoux and indeed Cremant is produced using the classic traditional method that is a secondary fermentation in the bottle that mirrors the production process in Champagne. Where the principal differences lie is in the permitted grape varieties; Champagne is produced from three key varieties, Chardonnay, Pinot Noir, and Pinot Meunier. However, Cremant can involve Mauzac (a local grape of the Languedoc), Chenin Blanc, Riesling, Pinot Blanc, Pinot Gris and several other white and red grapes. Therefore it is hard to pinpoint an exact style, much will depend on where the Cremant was produced and the blend of varieties. At its best though, it offers a very attractive alternative to Champagne, often at a fraction of the cost. Today, 7 main regions are entitled to use the Cremant designation: Alsace, Bordeaux, Burgundy, Rhone Valley, Jura, Limoux, and the Loire. In total there are 53 separate appellations for sparkling wine in France, although Champagne and Cremant in its various forms remain the most important, both in terms of volume and quality. Over 500 producers are in the Cremant business, producing over 13 million bottles every year. The first region in France to be awarded the right to the Cremant appellation was Burgundy – Cremant de Bourgogne was established in 1975. The main hubs of sparkling wine production are Chablis, the Cote Chalonnaise, and the Maconnais, although fizz is produced in the Cote d’Or as well. Stylistically, it ranges from full and toasty to a fresh, light, easy-drinking summer sparkler that offers the ideal summer aperitif. The grapes used in the blends are, like Champagne, Chardonnay and Pinot Noir, although Beaujolais’ Gamay can also be used to add fruitiness and vivacity. Rose versions have also become popular in recent times, the best produced from 100% Pinot Noir. The Loire valley is another important source of Cremant, although unlike Burgundian sparkling wine the wines here bare little resemblance to Champagne. The wines are primarily based on Chenin Blanc, although a certain percentage of Chardonnay is allowed in the blends as well. At one time the wines were almost as famous as those of Champagne, and today several major Champagne Houses produce wines in the Loire, including Bollinger and Deutz. Today, several of the Loire’s key appellations are in the business of making fizz, including Anjou, Saumur, Touraine, and Vouvray. In fact, Saumur remains the largest French sparkling wine appellation outside of Champagne and the best wines have a delightful zesty quality and aromatics of apple, fig, and citrus. Most, but not all examples should be consumed within 12 months of bottling. 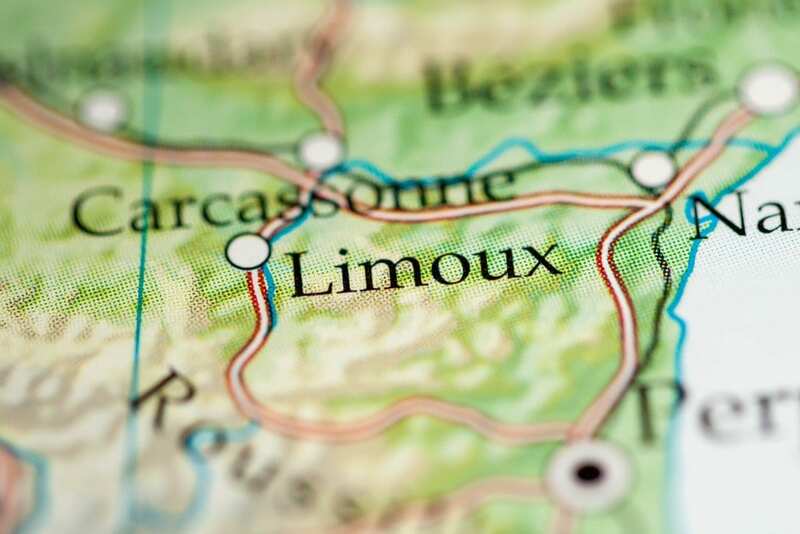 Limoux, which according to legend is the French region that gave birth to the production of sparkling wine, is today a strong contender for the best source of quality fizz outside of Champagne. The secret is the unique Limoux topography; the higher altitude of the vineyards and Atlantic influences on the micro-climate ensures that this special part of the Mediterranean is not too hot to produce high-quality sparkling wine. The Cremant de Limoux appellation was introduced in 1989 and today sits alongside the Blanquette de Limoux AOC. The difference is essentially one of style: both wines are made using the traditional method, however, Blanquette is mainly produced from the local Mauzac grape, whereas Cremant is often Chardonnay dominated, complemented by Pinot Noir, Mauzac and Chenin Blanc in supporting roles. Mauzac tends to give aromas of apple peel and freshly cut grass, in contrast, a good Cremant de Limoux offers a great value approximation of Champagne, albeit the acidity is usually lower and the style fresher. Again, most examples should be consumed soon after release, although one or two producers are making more age-worthy wines to cellar for 5-10 years. Bordeaux, a region known predominantly for its red wines is another area permitted to make fizz, albeit the wines are generally only pleasant rather than outstanding, and cannot rival better examples from the Loire, Limoux, and Burgundy. The first recorded example of Bordeaux bubbly is in the 1870s when producers of the legendary sweet wine Sauternes started to experiment making sweet sparkling wines, which unsurprisingly weren’t a big hit. The oldest producer in Bordeaux is Cordelia, an outfit which has remained in business since its creation in the 1890s. However, although Bordeaux was awarded Cremant status in 1990 and does produce some sound wines, it remains the least exciting source of sparkling wine in France. Of course, exceptions to this rule do exist. Another surprisingly great and reliable source of delicious French fizz is Alsace, the spiritual home of Riesling (although the Germans may disagree). 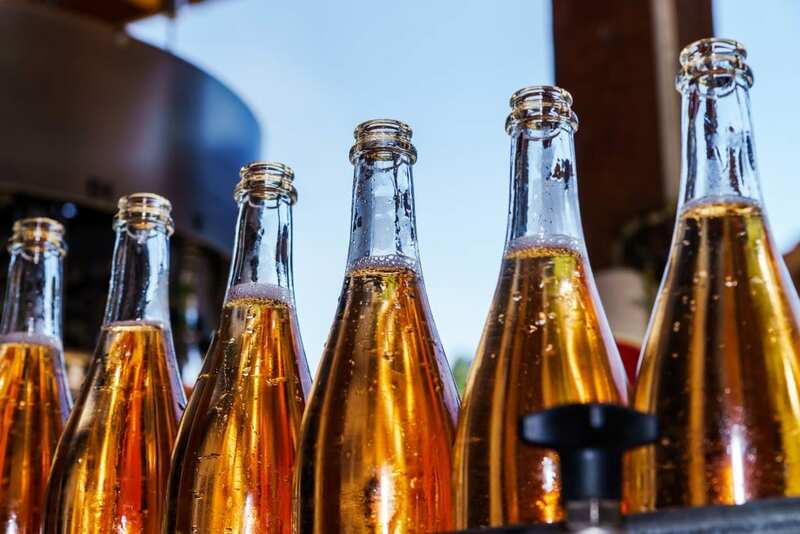 Sparkling wines have been made in northeast France since the late 19th century and today it is the country’s volume powerhouse, producing over 30 million bottles per year. It also most definitely not a Champagne copycat; winemakers are fiercely loyal to their local varieties and Chardonnay, for example, tends to constitute a very small part of the overall blend. The key varieties used to make Cremant de Alsace are Pinot Blanc and Pinot Gris, the latter adding a welcome richness and structure to the blends. Riesling also plays its part, although 100% varietal versions are extremely rare. However, 100% Pinot Noir wines – known as Blanc de Noirs – are currently in vogue, as is delicious and succulent Cremant Rose. The appellation rules state that Cremant Rose from Alsace must be 100% Pinot Noir; the resulting wine is soft, elegant and bursting with gorgeous red fruit. It remains one of Alsace’s greatest bargains. Alsace is also the only Cremant region that currently boasts a specific and higher tier of wine – Emotion. Wines released under this superior designation require longer lees aging and must contain at least 75% Pinot Blanc, Chardonnay and/or Pinot Noir. The best examples can rival Champagne in quality and longevity, the only difference being that they come at a fraction of the price! Finally, we arrive at the Rhone Valley and Jura, two relatively unimportant parts of the Cremant picture. Cremant de Die is the Rhone’s sparkling appellation, introduced in 1975. The grapes used are Clairette, Aligote and Muscat Petit Grains and the wine are as unlike Champagne as could possibly be. However, Cremant du Jura, which often contains as much as 50% Chardonnay, offers a closer approximation in the classic Champagne mold. Over the past decade, top class Cremant has become the connoisseurs’ choice of Champagne alternative and continues to grow in both the quality of winemaking and production. Its diversity of styles and flavors, consistency of quality and above all, superlative value for money make it one of the most exciting and worthwhile sparkling wines being made today. Rhone Valley – Carod, Domaine Poulet & Fils.